Melbourne-based writer and editor Dmetri Kakmi revisits the Turkish island of his birth and the events that drove his Greek family to migrate to Australia in his haunting first book, the memoir Mother Land. In the latest in Readings’ series spotlighting new and emerging writers (sponsored by the Copyright Agency Limited), renowned writer Arnold Zable reflects on the book and talks to Dmetri Kakmi. 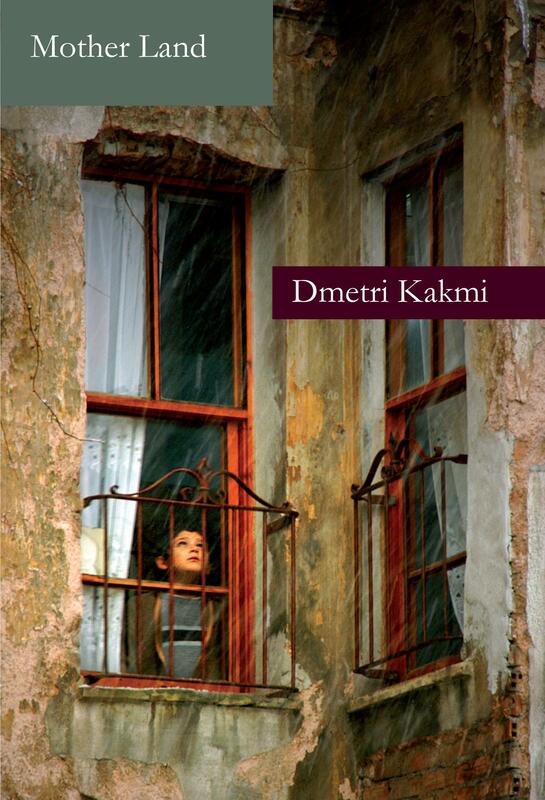 Dmetri Kakmi’s Mother Land is a haunting account of the author’s childhood on an Aegean island, situated near the mouth of the Dardenelles Straits and the Gallipoli Peninsula. Renamed Bozcaada after it was annexed by Turkey in 1923, the Greek inhabitants still maintain its classical name, Tenedos. Book-ended by the author’s return to the island in 2002, the narrative focuses on a three-year period, between 1969 and 1971, as seen through the eyes of the author as an eight- and nine-year-old boy. The period ends when his family forsakes their impoverishment and persecution for a new life in Australia. The memoir is distinguished by Kakmi’s vivid portrayal of island characters, and his seamless weaving of history, folklore and myth, ritual and daily reality, rendered with the sensuous immediacy of a young boy. Two poisonous tensions permeate the narrator’s island life. First, there is the enduring tension between Turks and Greeks. The two communities live apart in separate quarters. For the Greek population, the threat of violence and expulsion is always imminent. One act of violence can engender a chain reaction of hatred and reprisal, acted out against a recent history of ethnic cleansing, exile, displacement and potential massacre. The boy is also witness to his parents’ violent dynamic. His mother is strong-willed, restless, impulsive, and headstrong, the protectress of the hearth, liable to snap at those dearest to her, yet always prepared to do battle with those who bully them. She is a woman with ‘city ways’, acquired after a sojourn in Istanbul. The father, on the other hand, is a man of the sea; in the eyes of his wife, a man without refinement. It is a lethal dynamic, swinging between her constant belittling and his drunken violence. While Kakmi does not flinch in depicting his father’s outbursts, he also portrays him with compassion. On the sea, Baba is a master of his craft. ‘He could navigate some very treacherous waters around the Dardenelles, a true skill that was not acknowledged because he was illiterate,’ Kakmi tells me, when we meet to discuss the book. It was partly a sense of responsibility to his mother’s memory that drove him to write the book. ‘I could see that she was carrying a huge load, and was deeply frustrated and caged in her circumstances. I felt a duty to restore this woman’s life, though I am sure she wouldn’t like some of the things I reveal.’ His moving portrayal of his mother conveys her thwarted passion, her ferocious desire to better her life, and the secret she carried with her almost to the grave. Late one night, says Kakmi, he woke ‘with a couple of sentences running through my head. It was the voice of an eight-year-old boy, talking very rapidly, describing sitting under a mulberry tree, having lunch with his mother and sister.’ Kakmi wrote the sentences down, and when he reread them in the morning he knew he had found the voice for the book. He was able to finish a full draft within seven months. ‘Past and present were colliding in a violent way.’ His entire being was under siege, violated by a brutal ancestral past. While in the short term he experienced great psychic distress, his hallucinations enabled Kakmi to fully access the child he once was, and the raw terror and beauty of the past. To create a balanced picture, Kakmi felt it was important to dwell upon relationships that cut across the cultural divide. There are moving portraits of his Turkish friends: his school mate Refik, the Sufi-like fisherman, Ezet, Osil the grocer, and the middle-aged author’s companion and guide, Sinan. By accessing both the terror and beauty, as well as acknowledging the virtues that can be found in people of both cultures, Kakmi paves the way for redemption. Arnold Zable’s latest novel is Sea of Many Returns, a meditation on displacement, nostalgia and exile, set on the Greek island of Ithaca.